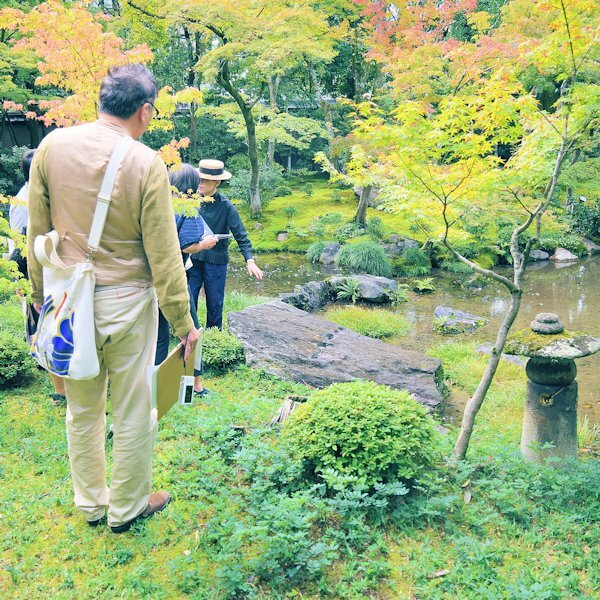 On October 7 (Sun. 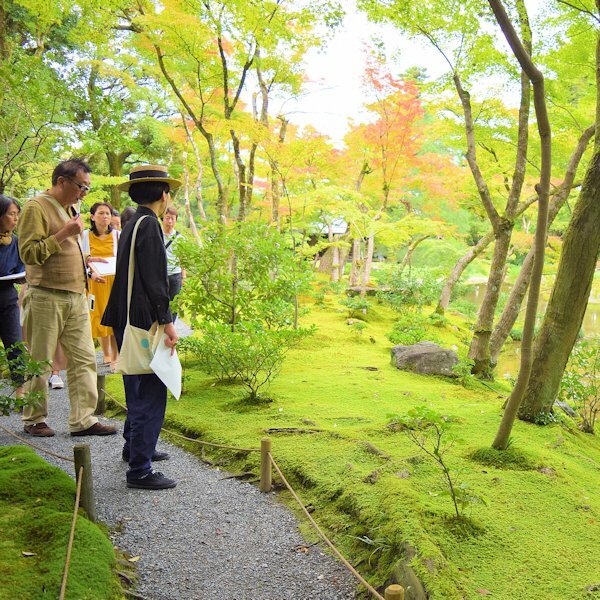 ), we held a walking tour along the route taken by Yamagata Aritomo, Murin-an’s original owner. 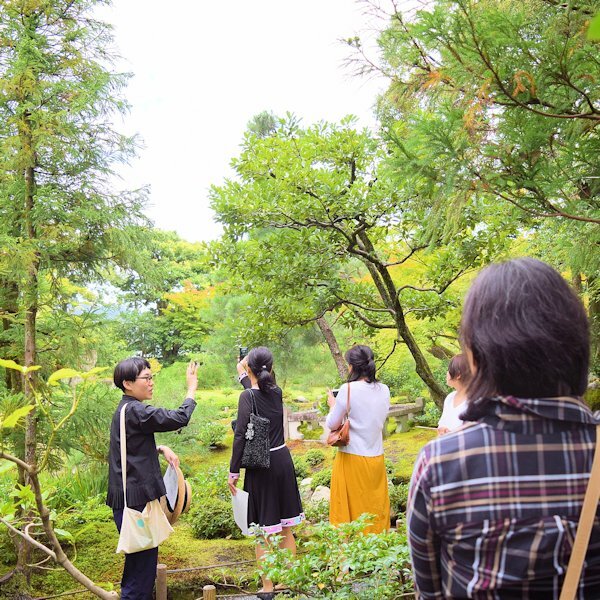 First we provided an overview of the garden and told stories about it that have been recorded for posterity. 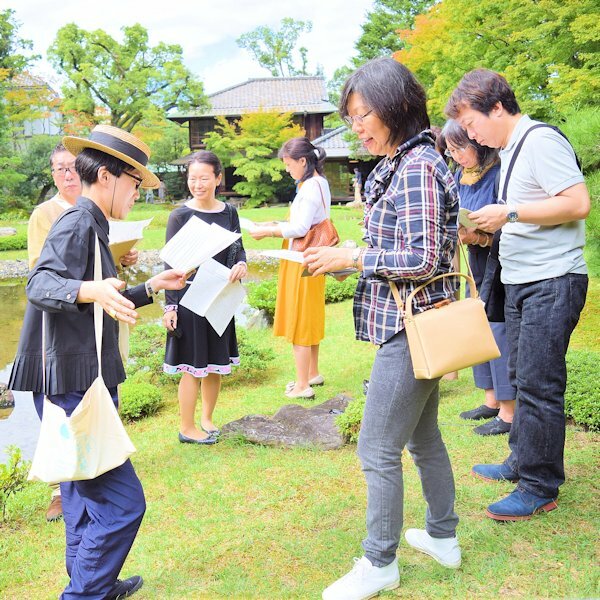 Then we followed Yamagata’s regular route around the garden and used historical documents to explain what it looked like at that time.